One person only suffered minor injuries. 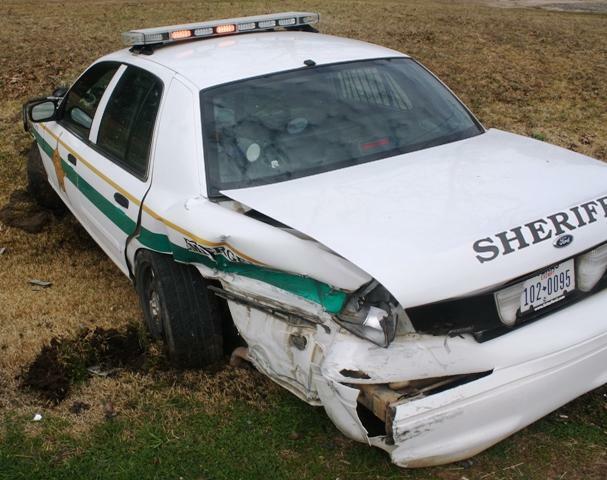 Deputy's Car Slammed by Sleeping Driver, LIVINGSTON, February 8, 2010 - At approximately 10 am on February 8, 2010, DPS Trooper David Flowers had stopped a vehicle in a routine traffic stop on US-59 south-bound side, just north of Livingston. 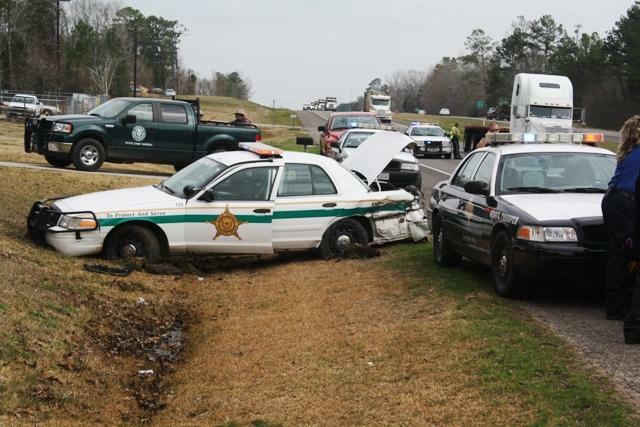 Polk County Sheriff's Deputy Brent Foster pulled up to the scene to assist Flowers in the stop. 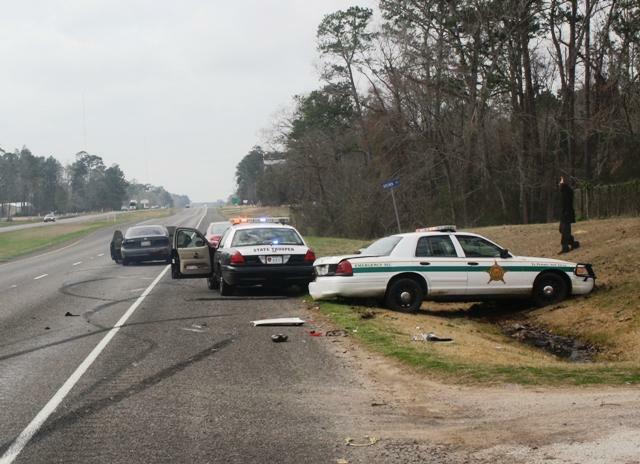 At 10:25 as the traffic stop was in its final stage, a south-bound green, 1994 Lexus ES300 driven by Stan Freeman, 38, of Longview came spinning out of control and slammed into Deputy Foster's unit knocking it into the ditch where it came to rest facing west. 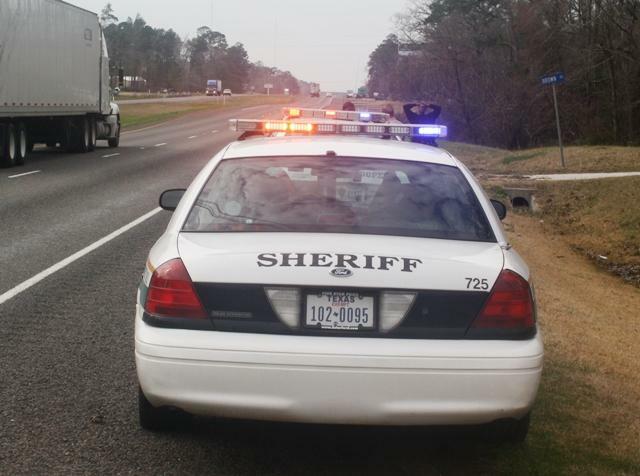 The Lexus continued spinning in circles until it stopped in the right lane of the south-bound side facing south. 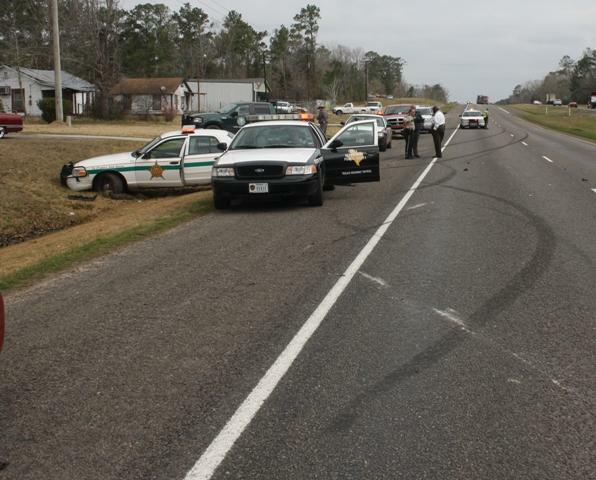 Americare Ambulance Service was dispatched to the scene along with a surplus of local law enforcement personnel from DPS, and from the Polk County Sheriff's Office. 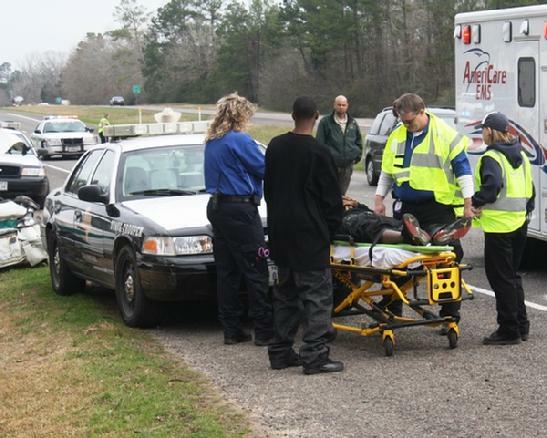 One of the men that had been initially pulled over suffered a minor injury and was transported to Livingston Memorial Hospital by ambulance. Stan Freeman said that he fell asleep at the wheel and was issued citations for failure to control speed and driving with an invalid license. 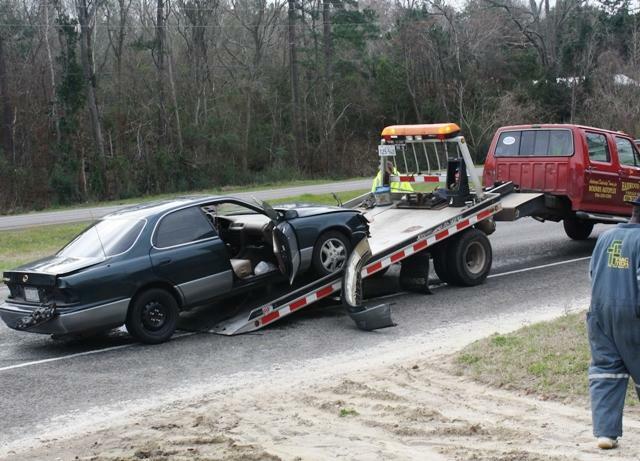 Freeman's vehicle was recovered by a rollback wrecker from Harwood Wrecker Service and it'll be stored at 101 Harwood Drive in Livingston, while the other vehicle was towed by a rollback wrecker from Ken's Towing and it will be stored at the County Maintenance Facility located on Allie Bean Drive in Livingston. The scene was cleared shortly before noon. ...the scene was a picture of chaos. 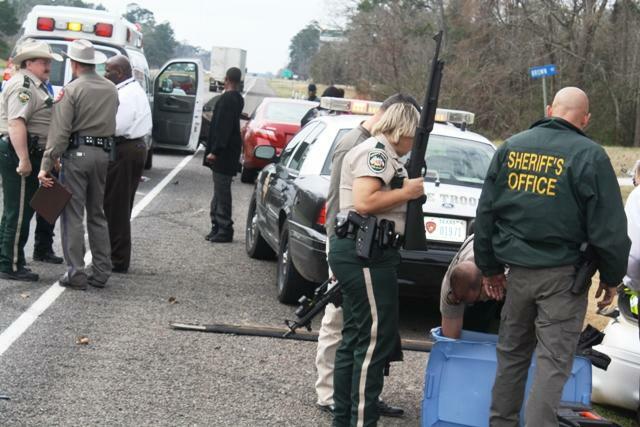 Within minutes, the scene was swarmed with law enforcement personnel. 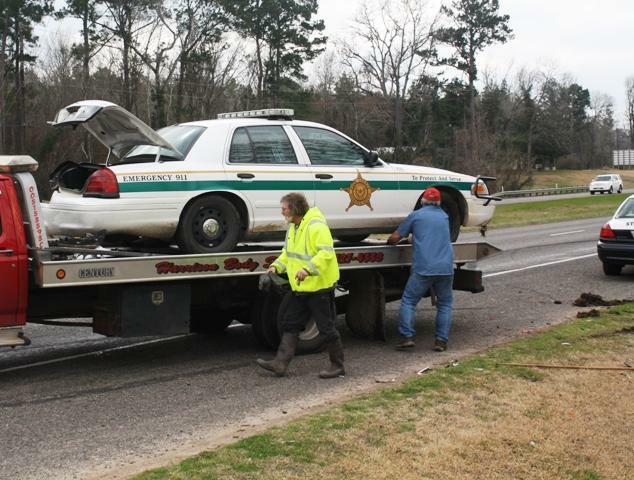 This 1994 Lexus (driven by Stan Freeman, 38, of Longview) spun out of control and slammed into Deputy Foster's vehicle. 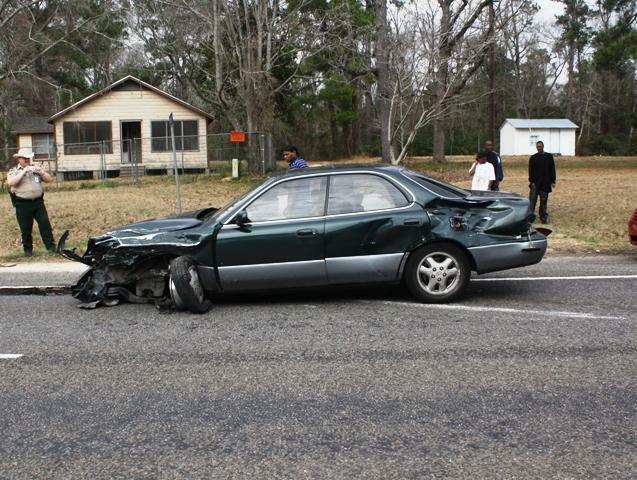 Foster's vehicle was slammed in the driver's side rear. Tire marks on the road show the insane spinning path that the Lexus took.